These are pictures from signals in OSShD member countries. 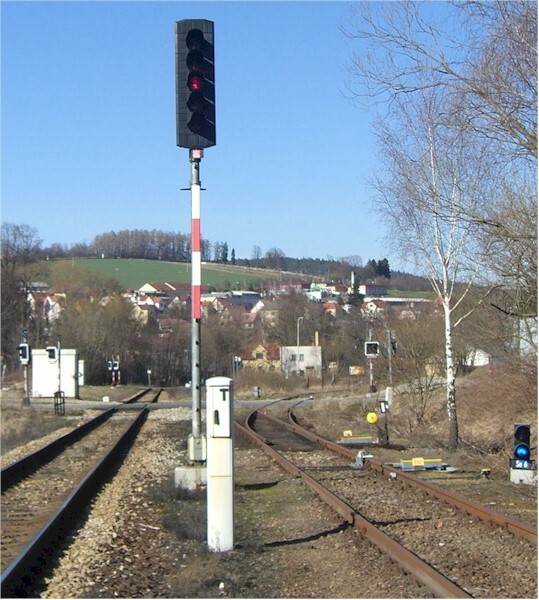 A Czech signal displaying stop. 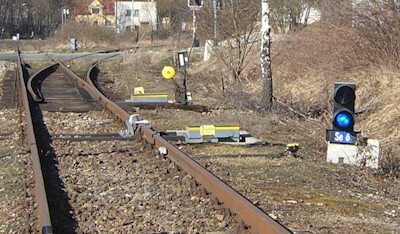 A Czech shunting signal displaying stop. Also you can see a derailer in place. 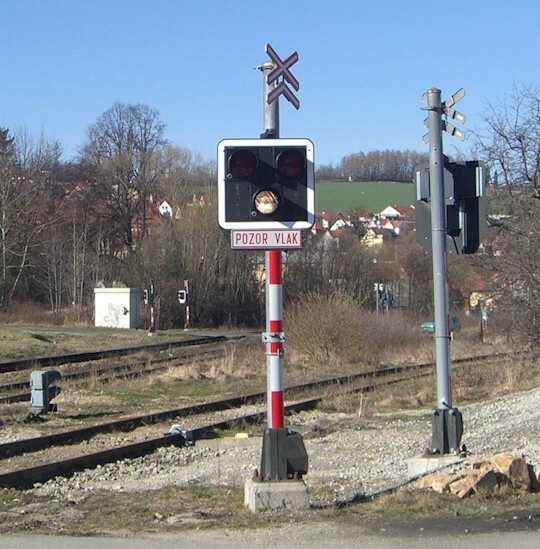 A Czech level-crossing street signal. The white light is flashing to indicate that the crossing is operational and can be passed. When a train is approaching, the two red lights above would flash alternatingly. 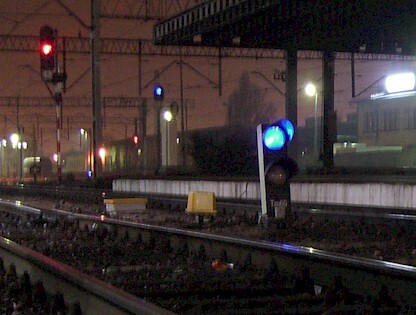 The text "Pzor Vlak" means "Danger, Trains"
A Polish shunting signal displaying stop. 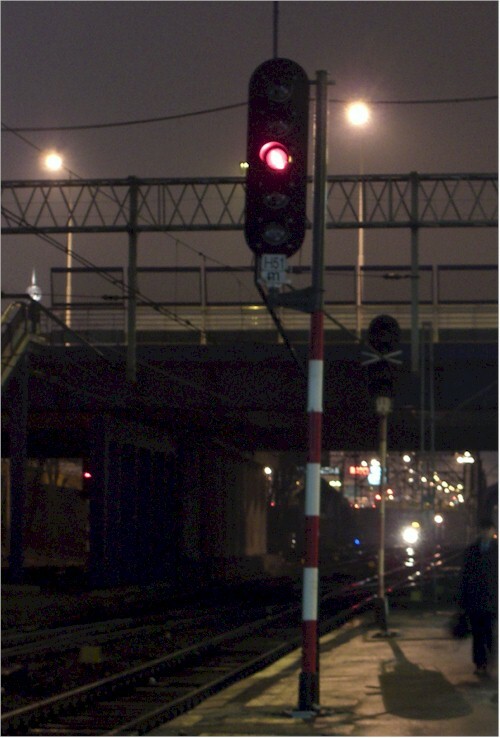 A Polish main signal displaying stop. 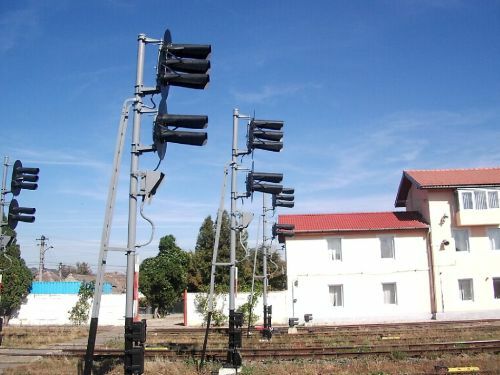 Romanian main signals in the station of Hermannstadt (Sibiu). They look exactly like Russian signals, you may compare them with the EZMG signals. 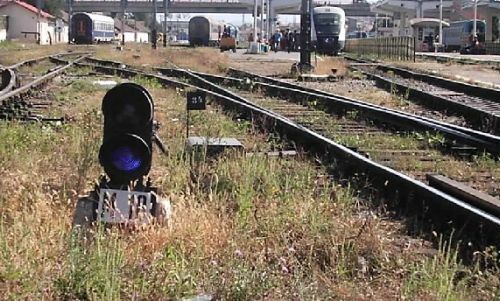 Romanian shunting signal at stop.